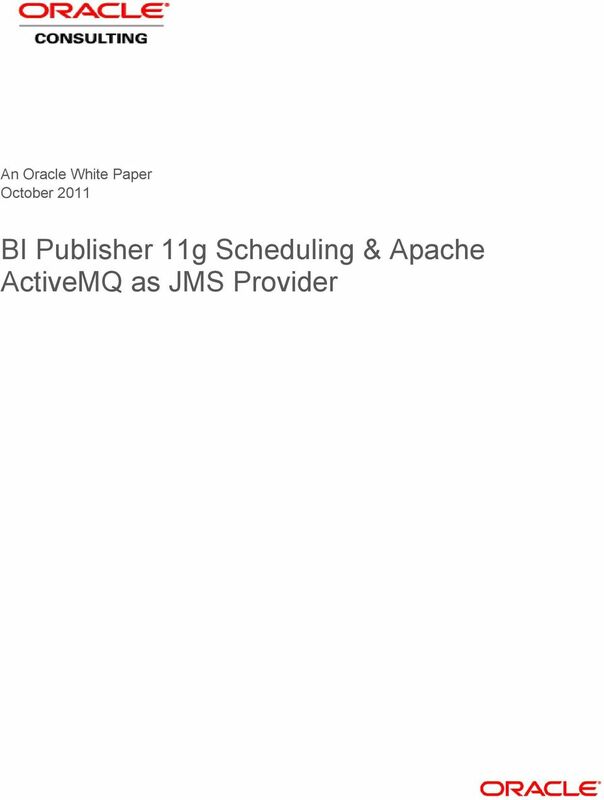 Download "An Oracle White Paper October 2011. 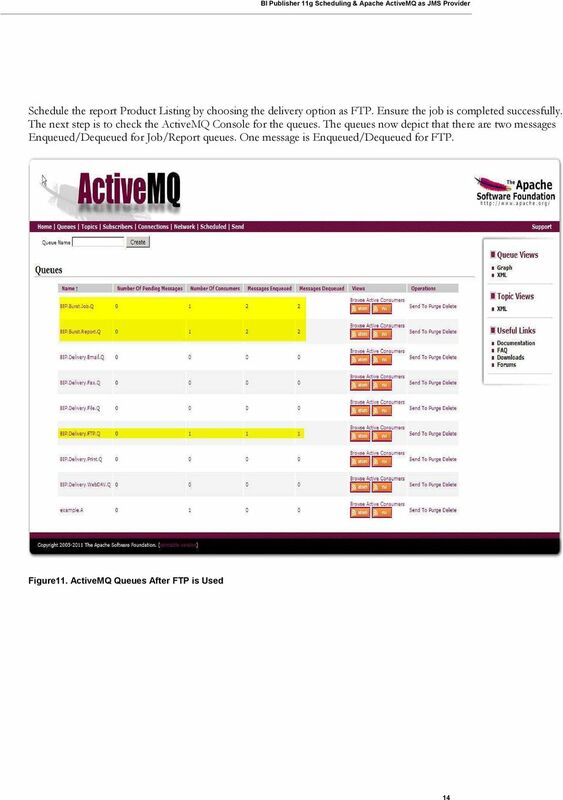 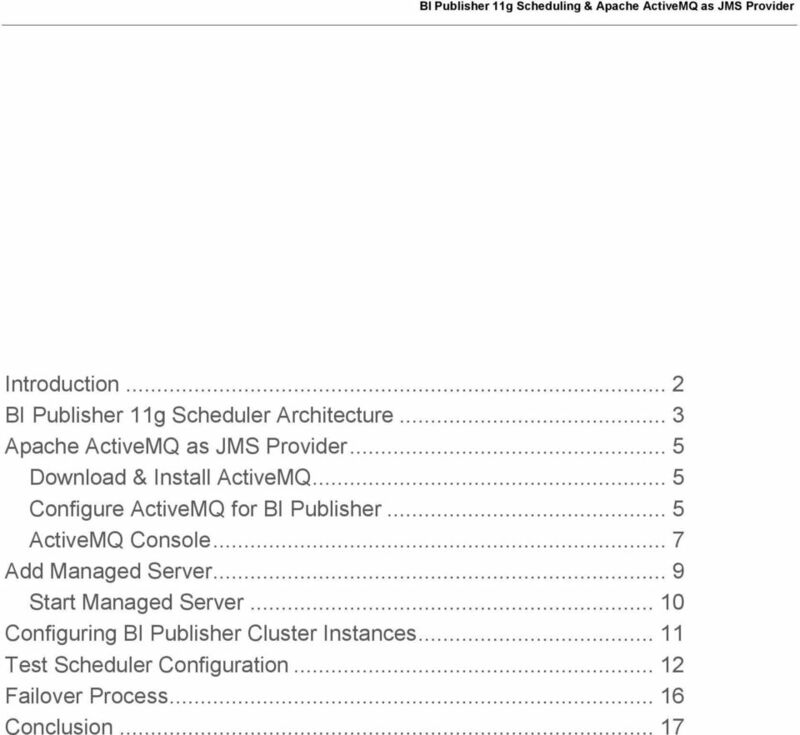 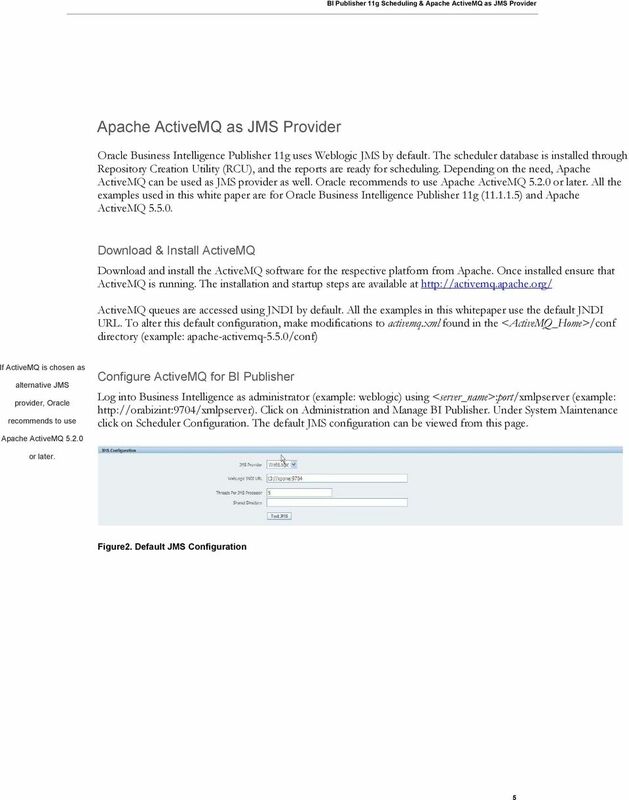 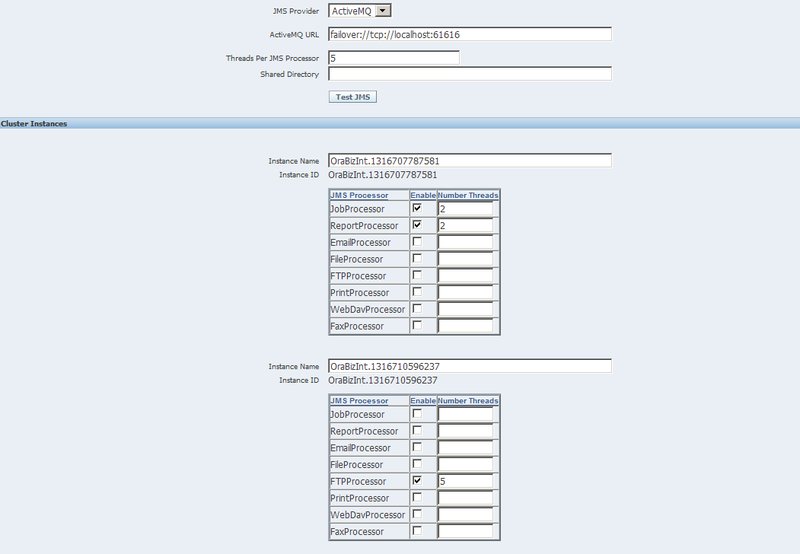 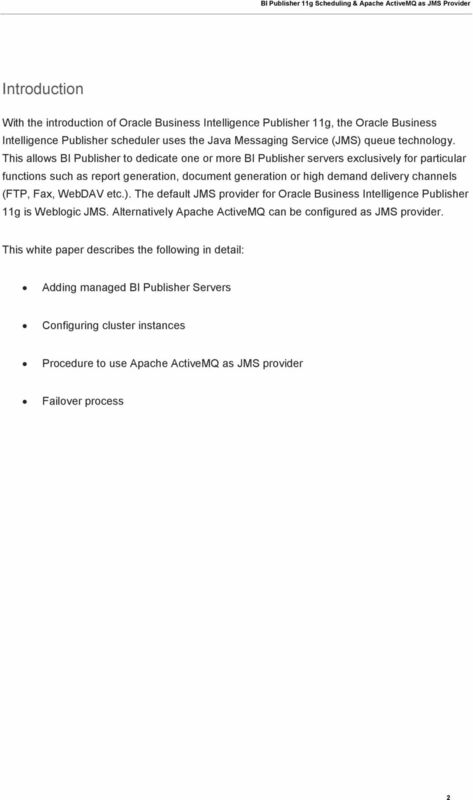 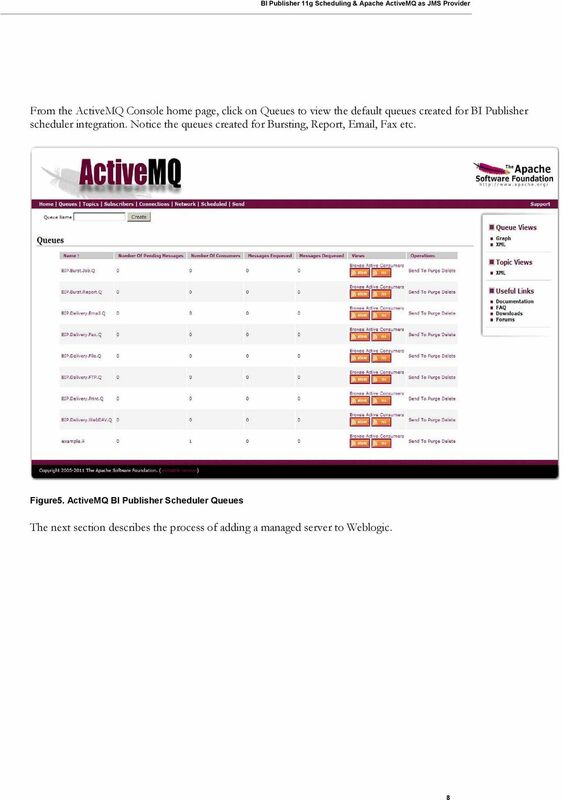 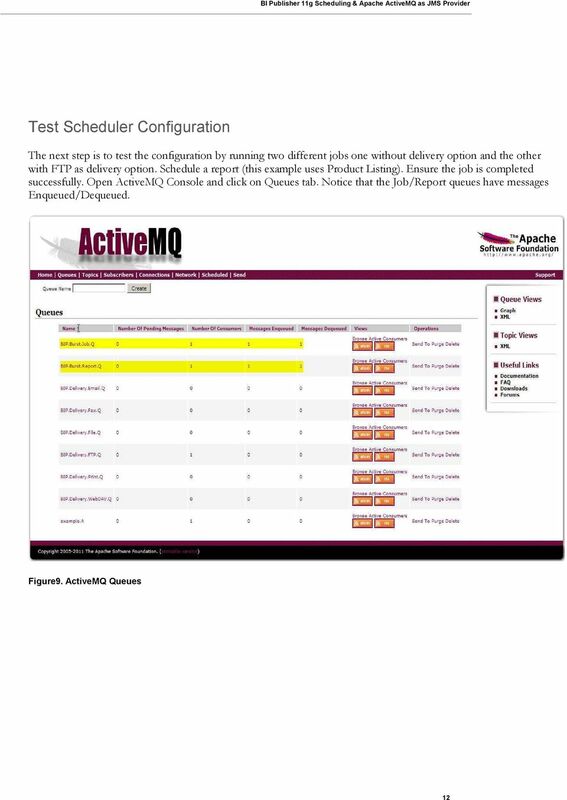 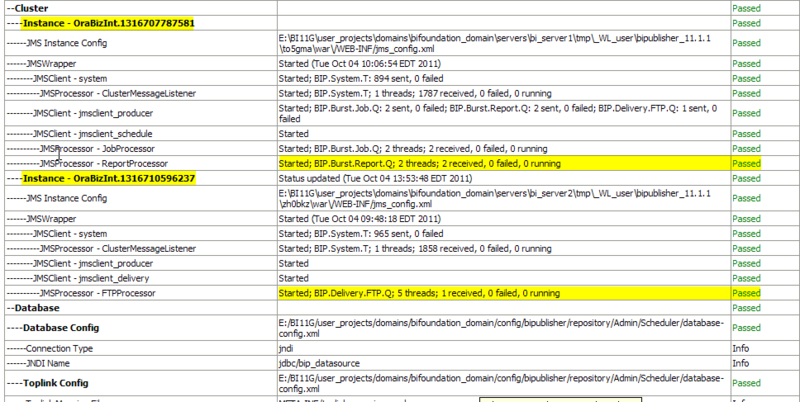 BI Publisher 11g Scheduling & Apache ActiveMQ as JMS Provider"
2 Disclaimer The following is intended to outline our general product direction. 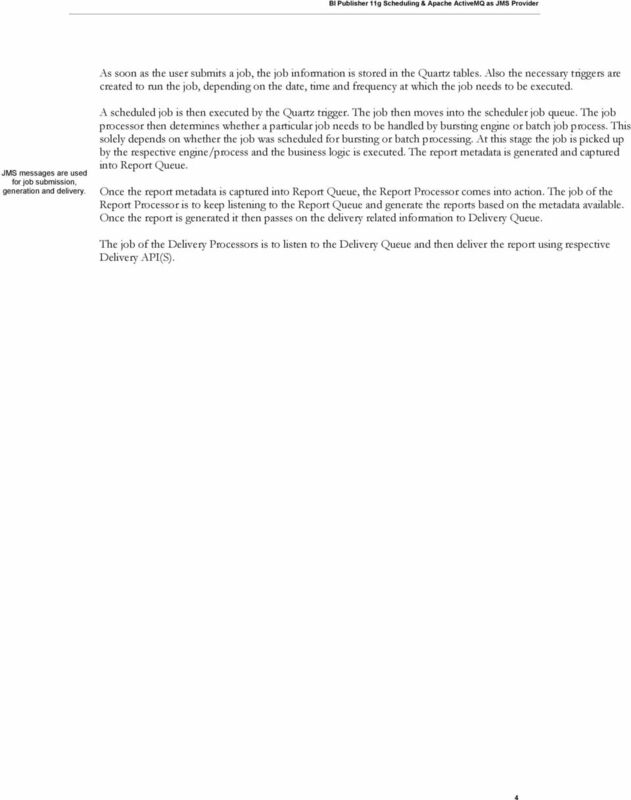 It is intended for information purposes only, and may not be incorporated into any contract. 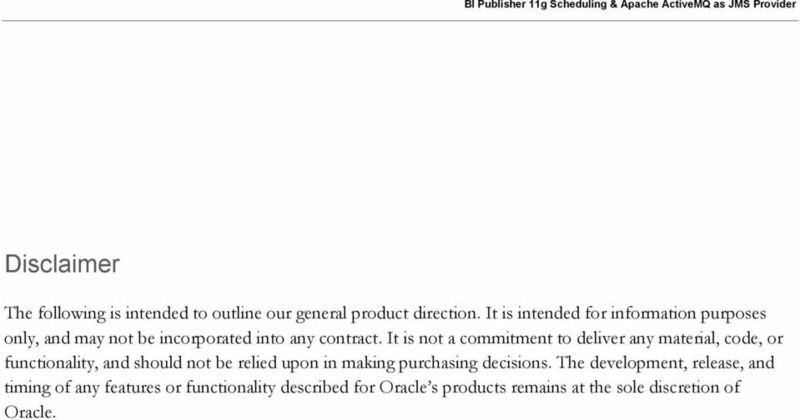 It is not a commitment to deliver any material, code, or functionality, and should not be relied upon in making purchasing decisions. 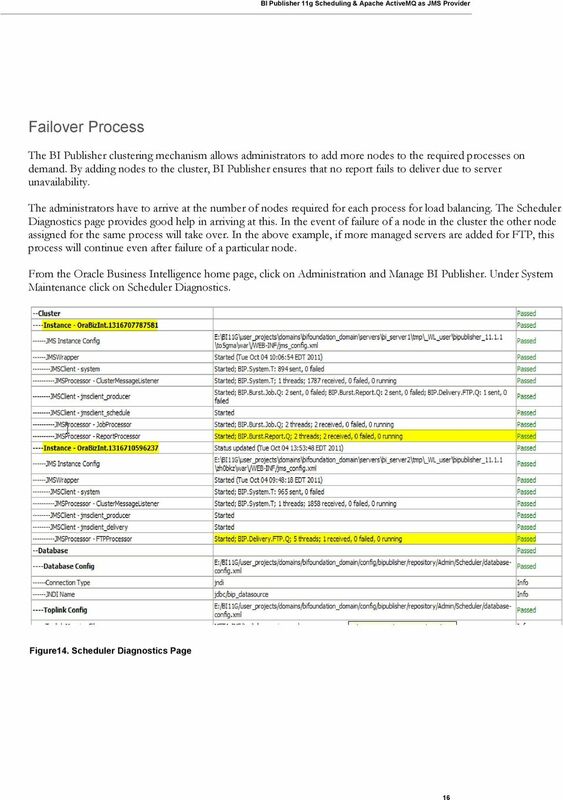 The development, release, and timing of any features or functionality described for Oracle s products remains at the sole discretion of Oracle. 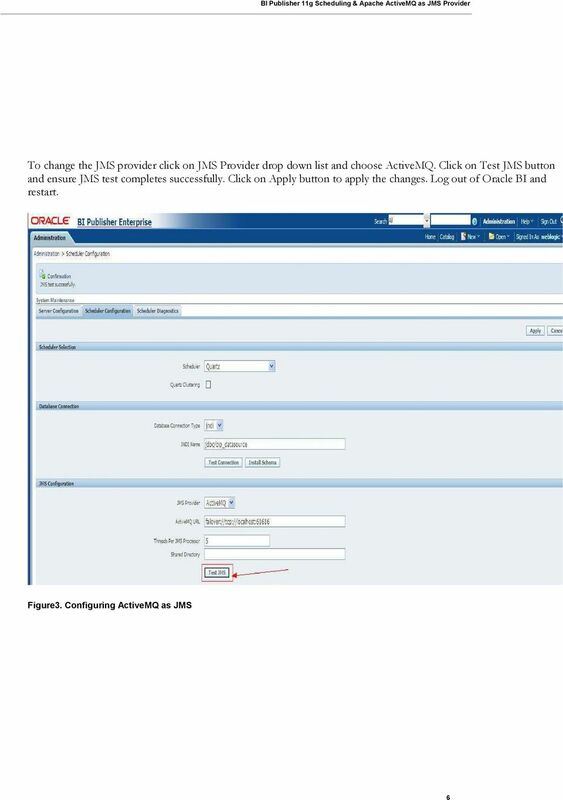 October 2015 Oracle Application Express Statement of Direction Disclaimer This document in any form, software or printed matter, contains proprietary information that is the exclusive property of Oracle. 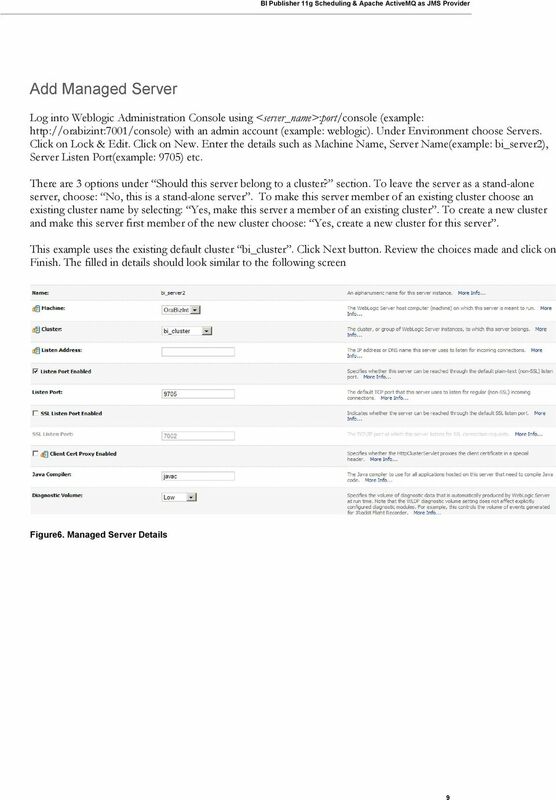 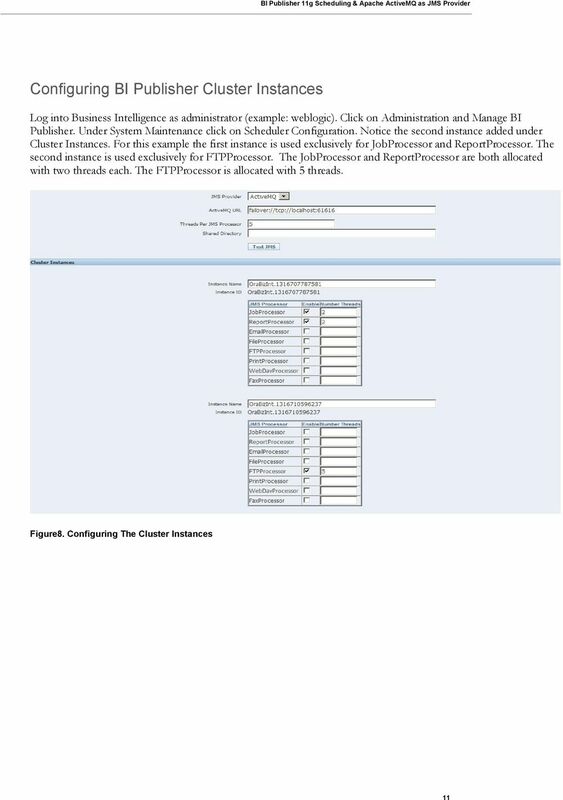 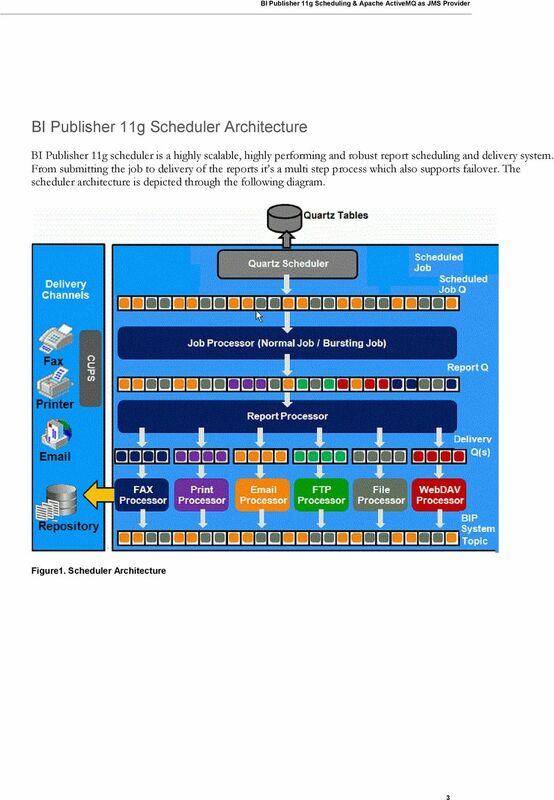 Oracle BI Publisher Enterprise Cluster Deployment An Oracle White Paper August 2007 Oracle BI Publisher Enterprise INTRODUCTION This paper covers Oracle BI Publisher cluster and high availability deployment. 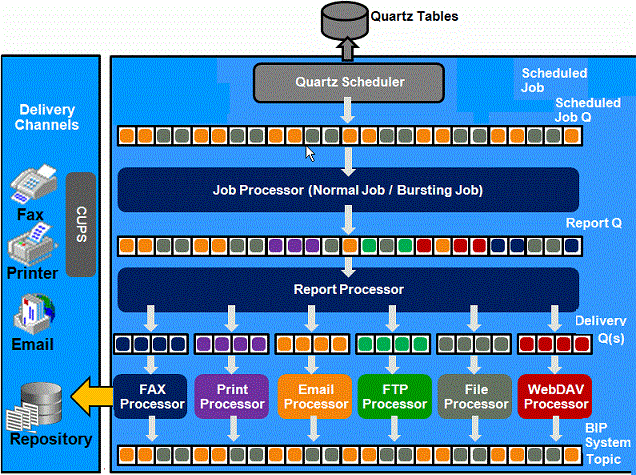 A Framework for Implementing World-Class Talent Management The highest performing businesses are re-focusing on talent management The highest performing businesses are re-focusing on talent management. 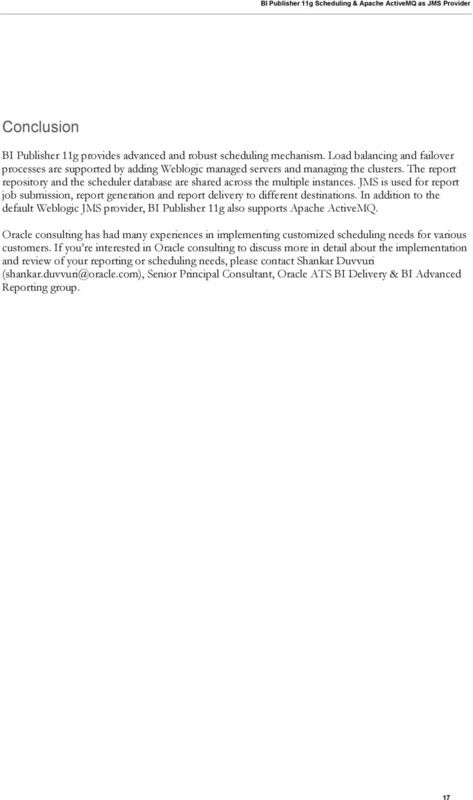 An Oracle White Paper October 2011 Migrating Customers to Lower-Cost Channels Executive Overview Are you pressured to lower your contact center costs? 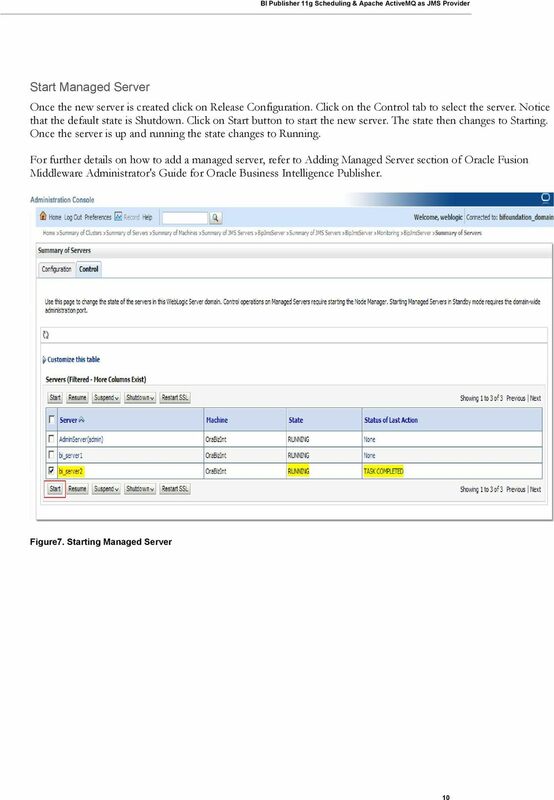 Are customers insisting that you improve service?